Duke Ellington, asked once in a TV interview about the music of his people, bridled at the question and improvised a riff on the fluidity of identity. "Let's see—'my people,'" Ellington said, feigning puzzlement. "Now, which of my people? You know, I'm in several groups. I'm in—let's see... I'm in the group of piano players. I'm in the group of listeners. I'm in the group of those who," he said, stretching the words for dramatic effect, "aspire to be dilettantes." Four decades later, the aspiration to dilettantism not only endures, but largely defines the culture of Youtube, where everyone has indulgent fun trying a bit of everything, and the spectacle of unbridled amateurism feeds itself in countless (but ever-counted) hits. This week, Jeff Bridges has been inescapable in all the pop media as he has worked to promote his new album as a singer and guitar player, a collection of bluesy, rootsy songs produced by T-Bone Burnett for the Blue Note label. 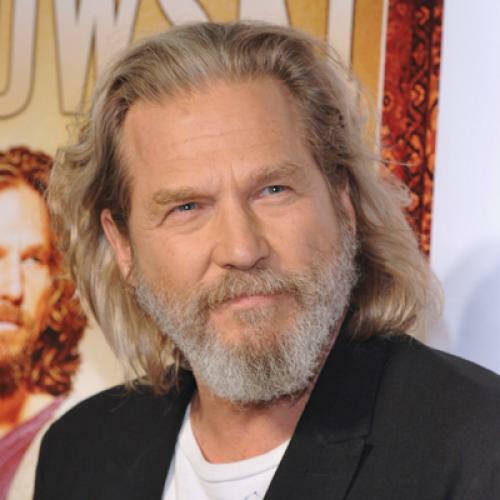 Despite the introductory implication of its title, Jeff Bridges, it is not Bridges' first album; he released a respectable, more poppish CD, Be Here Soon, eleven years ago for an independent label, Ramp records. Both albums, earnest and competent efforts by a great artist whose greatness lies elsewhere—in his film acting—are works of a dilettante. (Bridges is also a good photographer as well as a cartoonist who has had his work in both visual arts published.) The charm of Bridges' music is its quality of earnest aspiration, the tinge of nervousness in Bridge's quiet crooning, the tentative simplicity of his guitar playing. The evident humility in that aspiration is what distinguishes Bridges' work as a musician from the infamous dabbling of singing actors whose aspirations have seemed more cynical—the catastrophic albums of Don Johnson, Bruce Willis, Eddie Murphy, Stephen Seagal, Jennifer Love Hewitt, and in the decades before them, Patty Duke (whose status as a TV sitcom idol in the Sixties required of her to make records) and Robert Mitchum (who, inconceivably, cut a calypso album in the Fifties). (I'm exempting from this discussion Scarlett Johansson, whose 2008 album of Tom Waits covers, Anywhere I Lay My Head, is reviled in some corners, because I hear harmless incompetence in her off-key mangling of challenging material; and I'm not bothering here with the music of Johnny Depp and Keanu Reeves, because it's neither good nor bad enough to be interesting.) At the same time, the sound of Bridges' voice on his new album has the benefit of blurring neatly with the noble falling-short of "Bad" Blake, the fictional shadow self whom Bridges won an Oscar for portraying in Crazy Heart. Ellington, building on his riff, went on to say, "I'm in the group of those who attempt to produce something fit for the plateau. I'm in the group of what? Now, oh yeah—those who appreciate Beaujolais." Typically for Ellington, the comments are slyly cryptic, and they may well be jokes. Beaujolais is a light wine; in his music, Ellington sought to make something more complex. And did he really mean to say "plateau"—or "pinnacle"? Either way, he was not saying much that's applicable to Jeff Bridges and his music. Bridges, in his music, aspires to be a dilettante—an aspiration that's not so crazy, after all, and one he pursues with heart.